Daniel/Brady: Daniel (Shawn Christian) and Brady (Eric Martsolf) get into a huge argument over Brady’s drug use. In the end, Brady finally consents to get some help for his addiction. Later, Daniel and Nicole (Arianne Zucker) are forced to rescue Brady from serious trouble. JJ/Jennifer/Liam: JJ (Casey Moss) does everything in his power to spoil Jennifer (Melissa Reeves) and Liam&apos;s (Mark Collier) date. Eventually, Jennifer deals with JJ. Sami/EJ/Sonny: Sami (Alison Sweeney) and EJ (James Scott) offer Sonny (Freddie Smith) some assistance. After, the couple gets into a heated discussion. 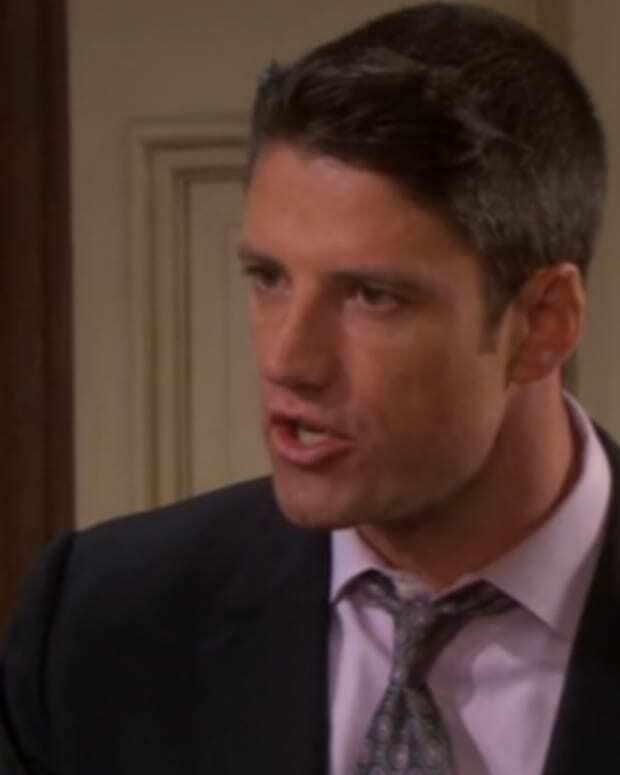 EJ issues Sami an ultimatum, while she wants him to come clean. Nicole/Eric: Nicole and Eric (Greg Vaughan) battle with their feelings for one another. Will: Will (Chandler Massey) is shaken when he discovers someone surprising at the river. Back in town, Sami, EJ, Sonny, Gabi (Camila Banus), and Kate (Lauren Koslow) are all terrified Will won&apos;t keep their secret. Abigail/Gabi: Abigail (Kate Mansi) receives word from the other side. After her brush with the supernatural, Abigail has to deal with Gabi thinking she will spill the beans. Kate/Jordan: Kate plans to take Jordan (Chrishell Stause) down. SPOILERS: Kate Gets In Sami and EJ's Business on Days of Our Lives! SPOILERS: Someone Unexpected Finds Out About EJ's Affair on Days of Our Lives!